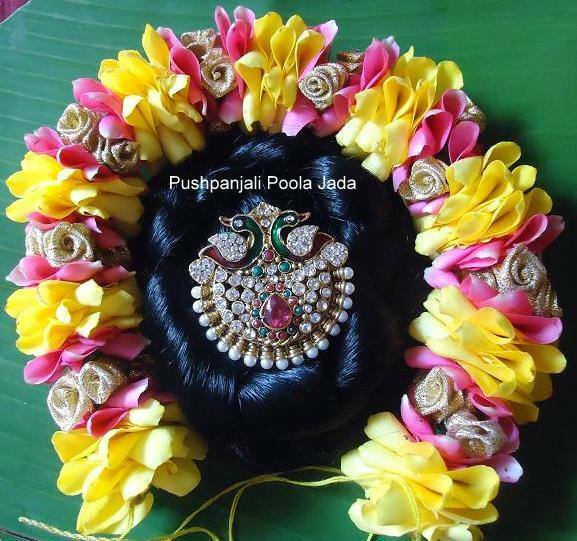 Veni or gajra made with real rose petals, jasmine buds and artificial golden roses. 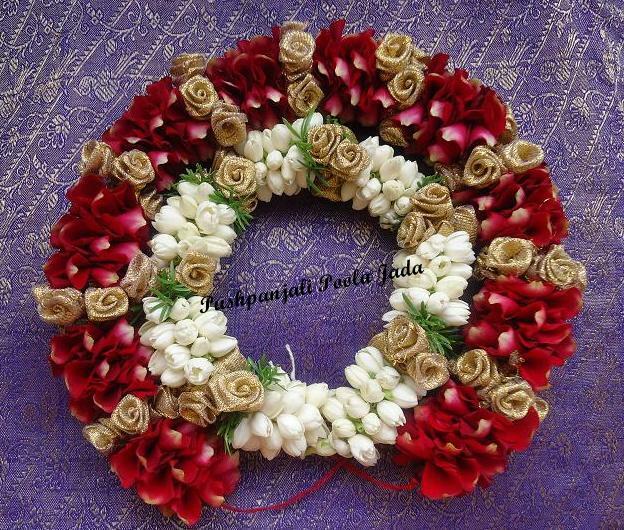 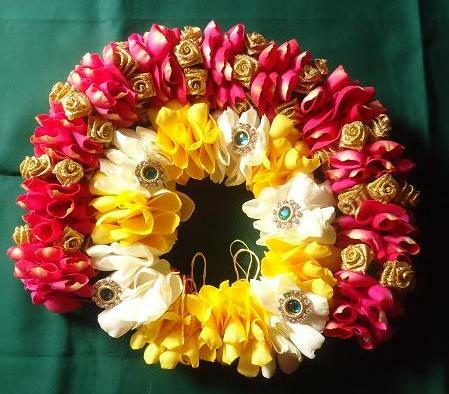 Veni made with real jasmine flowers,red rose petals and artificial gold roses. 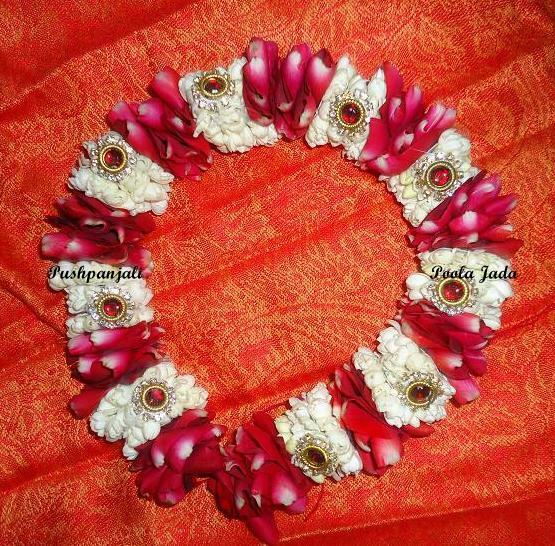 Veni made with real jasmine flowers,red rose petals and kundan applique. 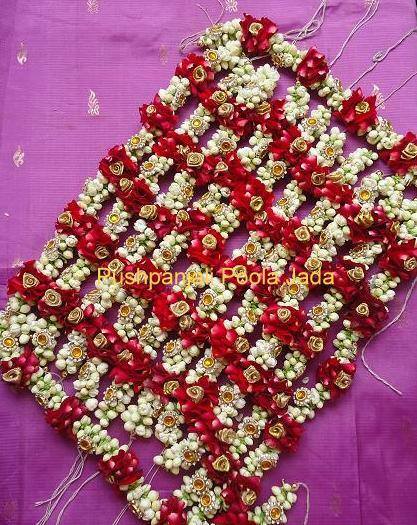 Colour of kundan can be changed matching to saree. 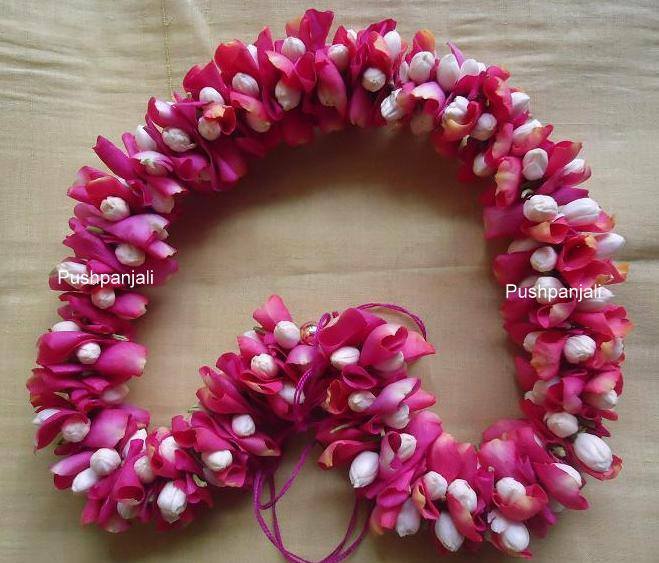 Veni made with pink rose petals and jasmine. 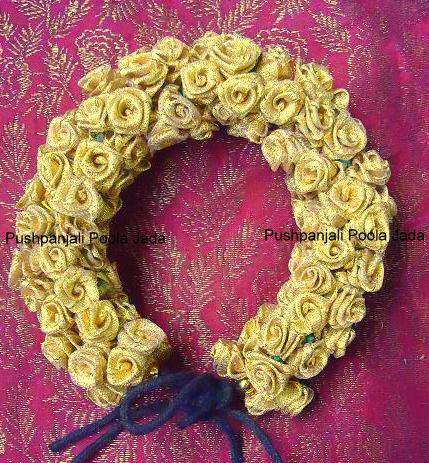 Artificial gold roses bunch Cost: Rs 500. 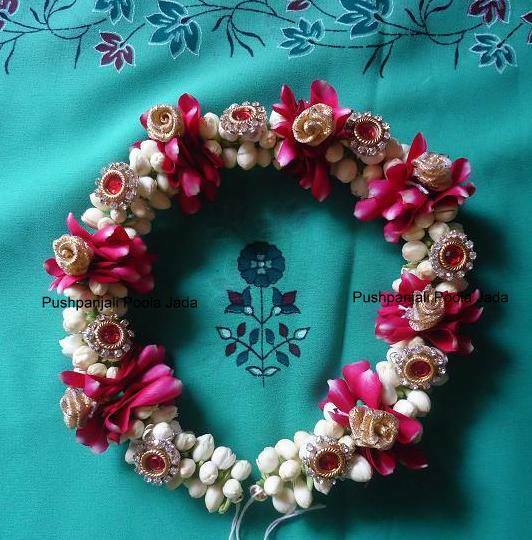 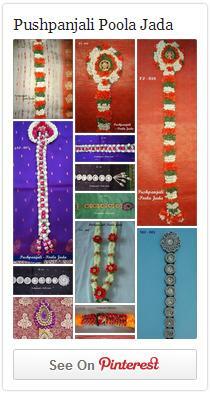 Can be made with different color roses to match saree. 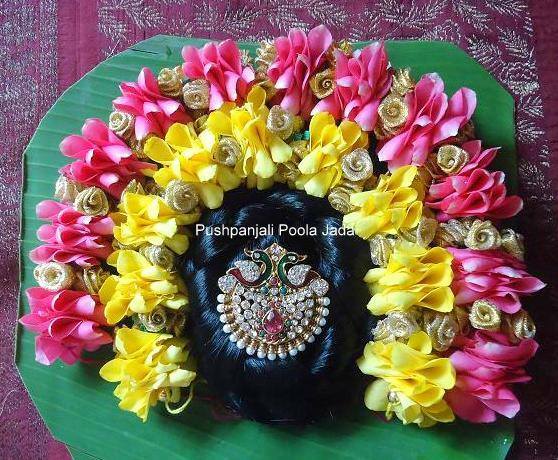 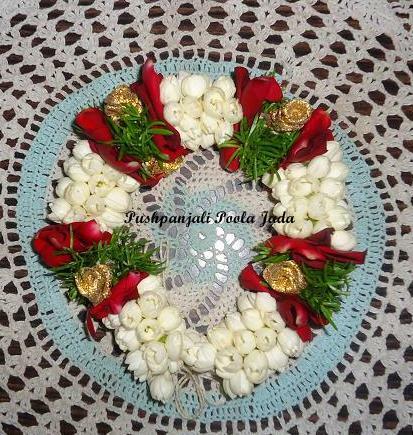 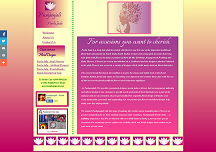 This entry was posted in Poola Jada with artificial flowers.